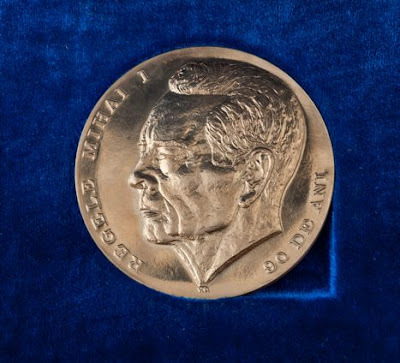 For the first time, since he was forced to go into exile in 1947, an official jubilee medal has been struck with the head of King Michael of Romania's (Regele Mihai I) . The present Romanian authorities made this possible to commemorate the Monarch's 90th birthday on 25th October. 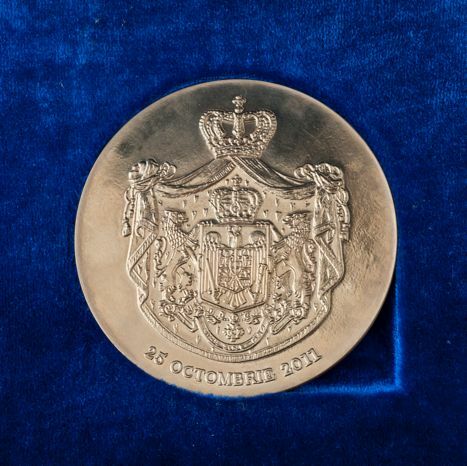 The Jubilee Medal was presented to His Majesty on 3rd October at the National Bank of Romania by Mugur Isarescu, Governor of National Bank of Romania. The Jubilee Medal was launched in collaboration with the National Bank of Romania, to stress the link between sovereignty and currency, according to Article 88 of the Constitution of 1923, and was issued in the name of King. The last two coins bearing His Majesty's image were issued in 1947, with values of 10,000, and 5 lei [before and after stabilization of the currency]. Like coins, His Majesty's Jubilee Medal on the front bears the King's profile and the reverse is the Great Arms of Romania. It is made of unvarnished gold "tombac nepatinat", and was created by Mr. Cristian Ciornei [design] and Vasile Gabor [model]. In another move to celebrate Regele Mihai's landmark birthday, the Romanian Parliament decided to invite the King Michael to attend a formal sitting on his birthday. The decision was taken with 203 votes "for", three votes "against" and 46 abstentions. The abstentions came from the Liberal-Democrats and were meant as a protest against Romanian president Traian Băsescu's insulting remarks on King Michael. 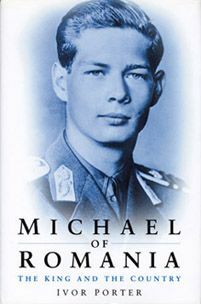 King Michael is one of the few surviving World War II leaders and had good relations with the Jewish community when he was King, nevertheless Traian Băsescu accused the Monarch of being responsible for the Holocaust in Romania, and called him "a Russian lackey". Ion Caramitru: What did we achieve without monarchy? Meanwhile famous actor Ion Caramitru believes that King Michael was the only personality capable of restoring morality in the country and speaks about the toxicity of “turncoat communists” and of the former secret police officers who got into business. In an interview with ‘Adevarul,’ the manager of the Bucharest National Theatre says he did not abandon his attitude of social militant, though he stays away from politics today. Caramitru still believes in the political principles of Christian Democracy to restore the monarchy and increase the respect for religion.